Skills are central to Mexico’s future prosperity and the well-being of its people. Improving opportunities for all Mexicans to develop high quality and relevant skills and supporting employers to improve their human resources management can help Mexico to raise productivity levels and, by extension, the incentives for employers to hire individuals in the formal sector. 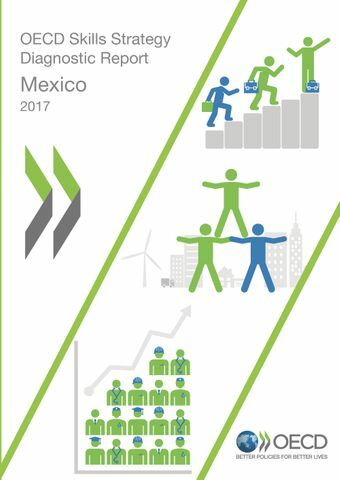 Fostering better and more equitable skills outcomes, especially for women and youth, will also provide the foundation for building a healthier, more equitable, and more cohesive society.The OECD Skills Strategy Diagnostic Report: Mexico sets out eight skills challenges for Mexico. These challenges were identified through two interactive workshops with stakeholders, bilateral meetings, internal discussions with experts at the OECD, and analysis of documents and data produced by the OECD and other organisations. The first six challenges refer to specific outcomes across the three pillars of developing, activating and using skills. The next two challenges refer to the “enabling” conditions that strengthen the overall skills system. Success in tackling these skills challenges will boost performance across the whole skills system.